Just how much does Brown Mackie College - Greenville charge for tuition at this time, and how much is tuition predicted to change? How does tuition contrast with the average? Keep reading to find out. Get a better idea of the tuition and fees charged by Brown Mackie College - Greenville so that you can prepare successfully for your college years. Examine the stats here to understand how Brown Mackie College - Greenville's cost compares to other colleges and universities and if you should prepare for tuition increases. The next table outlines how Brown Mackie College - Greenville measures up to other schools nationally, regionally and by state. In the 2017 - 2018 academic year, regular students at Brown Mackie College - Greenville paid $12,492, before corrections for financial need. $11,592 was the price tag on tuition. The other $900 represents additional fees. As opposed to public colleges, Brown Mackie College - Greenville does not provide a tuition discount to residents of the state. Brown Mackie College - Greenville fees and tuition is the number quoted to undergraduates for one academic year, not including room and board. Yet, most students will end up paying less than full tuition after collecting financial aid as well as other reductions. The next table outlines the costs explained above for the 2017 - 2018 school year. View Brown Mackie College - Greenville cost per credit hour here. Brown Mackie College - Greenville tuition and fees have stayed steady for the last five years. We anticipate the expense of fees and tuition this year will total $12,403. If tuition charges remain constant, two years here will run you $24,719 and four years will run you $49,087. In addition, you will probably have added costs such as room and board, transportation, and books. 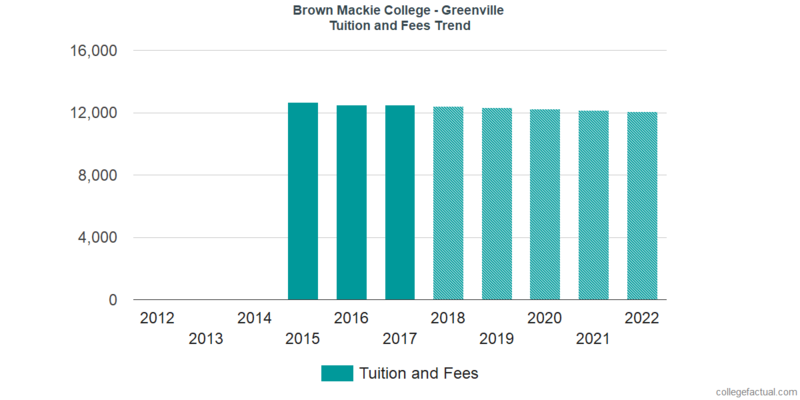 The subsequent chart reveals estimated upcoming fees and tuition for undergrads at Brown Mackie College - Greenville. Mainly due to inflation as well as other variables, the price of college is likely to grow every year. For this reason your final year of college might be much more than your initial year.